July 7th 2014 sees the centenary of one of the most iconic statues in Guernsey today – The Victor Hugo Statue in the grounds of Candie Gardens. It was a gift to the island from the French Goverment in gratitude for the hospitality shown to Hugo during is enforced exile. As you will see in this article it was a spectacular event in the islands history. 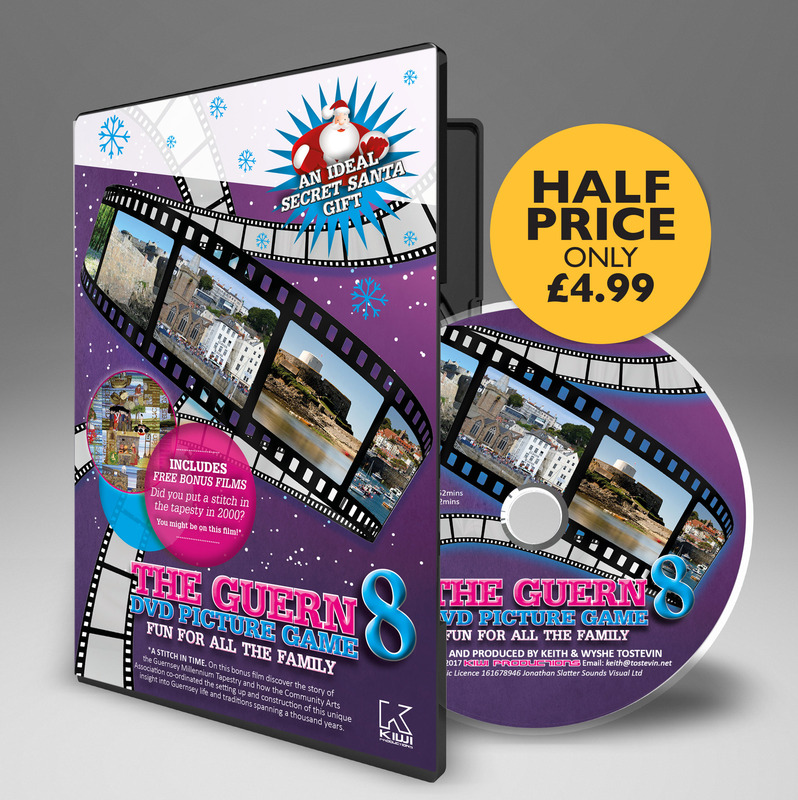 Victor Hugo is renowned worldwide both as a writer and public figure, he is probably the most famous person to have lived in Guernsey. During his time here he produced many of his most famous works, in particular ‘Les Misérables’ (1862), and ‘Les Travailleurs de la Mer’ (1866). 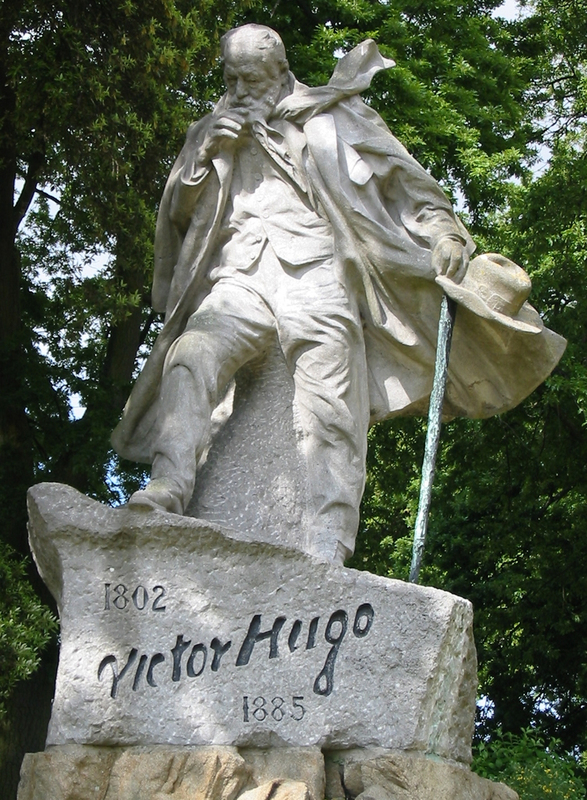 The statue of Victor Hugo is the work of the eminent French sculptor Jean Boucher. Born near Rennes in 1870, Boucher trained as a sculptor in Paris. In 1898, he joined the Bleus de Bretagne, an organization which promoted liberal values and some of his work was controversial. However, it was Boucher’s political and anti-clerical views which led to him being commissioned to depict the liberal hero Victor Hugo. Brooding over his exile or seeking inspiration by the sea the statue is an impressive image of the man. In 1906, the King of Portugal had visited Paris and appointed Boucher to create a statue of Hugo for the town of Lisbon. Permission for the statue was later withdrawn due to political unrest. Instead Boucher presented the statue at the Salon des Artistes Français in 1908, where the work was highly praised. The French government bought the statue for 30,000fr (£1,231) and with the Victor Hugo Society, approached officials in England and Guernsey for the statue to be erected on the island. The limestone statue stands on top of a large granite pedestal. Hugo is portrayed in a dramatic stance on a rocky outcrop; stick and hat in hand, his coat and scarf flying in the wind, his right hand tugging at his beard and his head down. Brooding over his exile or seeking inspiration by the sea the statue is an impressive image of the man. On the north-east side of the limestone block is a representation of Victor Hugo’s signature, with the date 1802 above the first name and 1885 beneath the second. On the west and south faces of the base are inscriptions. The plan for a fourth inscription to be added later, with the names of those present, was never carried out. Many sites were suggested for the statue, including the Castle Emplacement, the top of Smith Street and the bonded stores. On February 24th, 1914, the French committee had an interview with the Lieutenant-Governor, the Bailiff and the States Committee. The French representatives reported that they had inspected the Candie Grounds and considered it an ideal position for the statue. On April 29th the proposal came before the States, who unanimously granted the site. As soon as Candie Gardens were accepted preparations for the foundations of the statue begun almost immediately, and enormous granite rocks were taken from La Jaonneuse, L’Ancresse to form the pedestal of the statue. The statue was transported from Paris to Cherbourg by train. It was shipped to Guernsey aboard the steamboat “La Giraffe” and arrived in Guernsey on the 4th June 1914. The heavy statue, in a large wooden case, was brought ashore by a party of Engineers and men from the Royal Garrison Artillery. It was lifted off the boat and onto a 12 ton gun carriage. The following day a steamroller was used to drag the statue to Candie Gardens. It took another full day to bring the statue into the gardens and lift it onto its pedestal. It was unpacked and swiftly covered in canvas. A military guard was stationed nightly at Candie Grounds until the unveiling with no less than 3 soldiers on duty at a time. 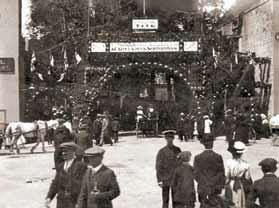 On the morning of the 7th July St Peter Port was adorned with Union Jacks, Tricolours and bunting for the event. There was an impressive continuous line of Chinese lanterns from Castle Cornet, along the piers to the Salerie. The White Rock was decorated with poles draped in red, white and blue. A series of large decorated arches were erected at the bottom of St Julian’s Avenue. Over the main arch was written “Vive l’Entente Cordiale”. A Venetian Fête was organised for the harbour in which decorated and illuminated sailing, rowing and motor boats took part. Candie Gardens were decorated with colourful pennants. The platform, erected for the speakers, was draped in national colours and surmounted with the Union Jack and the Tricolour. At 10am the French representatives arrived aboard the armoured cruiser the Dupetit-Thouars, escorted by two torpedo boats. The English delegation arrived shortly after aboard the battleship H.M.S Russell. The visitors were received at an official reception at the White Rock. People began to congregate in Candie Gardens from midday. Around 1,200 chairs were provided and arranged in circles around the statue to create an enclosure for invited guests. the French representatives arrived aboard the armoured cruiser the Dupetit-Thouars, escorted by 2 torpedo boats. The English delegation arrived aboard the battleship H.M.S Russell. Soon after 1pm the 1st Regiment, R.G.L.I., marched into the grounds. They lined the enclosure and the path from the lower gate to the statue. One company formed a guard of honour, under the command of Capt. M. Jones. The Brigade band played a selection of music to entertain the waiting crowds. The official guests met at the Royal Court at and left in procession preceded by the Band of the 25th Line Regiment. It was an impressive sight with many of the officials wearing Court or diplomatic dress, colourful uniforms and robes. The route was lined with garrison troops, members of the Royal Guernsey Artillery and the Royal Guernsey Light Infantry. “beautiful gift of France” that would “embellish our Island, and render it impossible to forget the memory of the illustrious poet who lived among us for fourteen of the best years of his life”. After many other speeches Gustave Simon, representing the Hugo family spoke. He thanked His Excellency the Lieutenant-Governor and the Bailiff, for the homage they had paid to the great poet and whose memory would be perpetuated in one of the most beautiful public places in the Island. He thanked the French Government for having acquired the statue, and he spoke of Hugo’s love of Guernsey and the inspiration he had found on the island. Following the unveiling, there was a programme of events. These included concerts by the French military and Militia Brigade Band, a reception for guests at Hauteville House and a banquet hosted by members of the Victor Hugo Society, also a banquet at Gardner’s Royal Hotel for over 200 people. There was a grand firework display from Victoria Pier, the White Rock, the Castle Emplacement and boats in the harbour was enjoyed by the thousands of people in St Peter Port that evening for the celebrations.